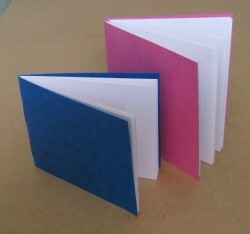 These two pamphlet stitch books were made from a single sheet of Gerstaecker cartridge/watercolour paper. 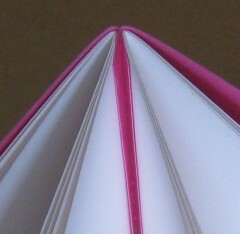 I am considering using this paper for making journals, as it is very economic and it is supposed to cope with wet media. I made these small books so that I and a friend can test it. The blue book is a single 4-sheet signature, with pages 6? by 5? (15.2cm by 12.5cm). 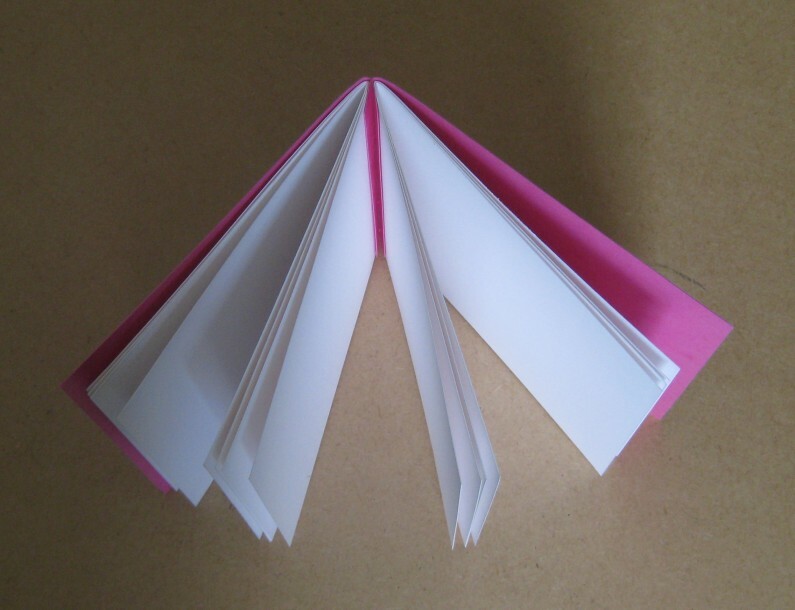 The pink one is a 5-hole Japanese double pamphlet stitch binding, with two 4-sheet signatures, and the pages are 6? square (15.2cm). The card covers of both books are just slightly larger than their pages.